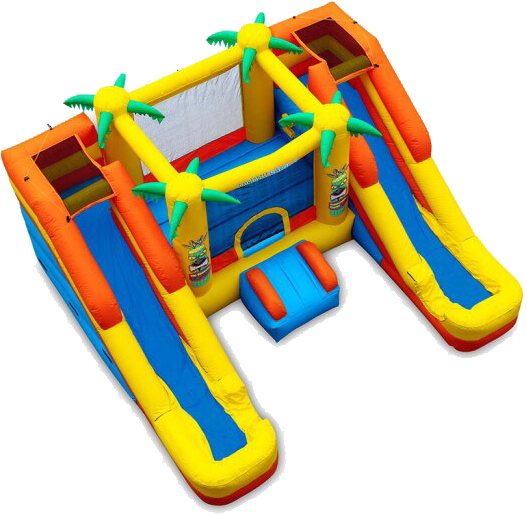 Let’s see who can jump the most and the highest! 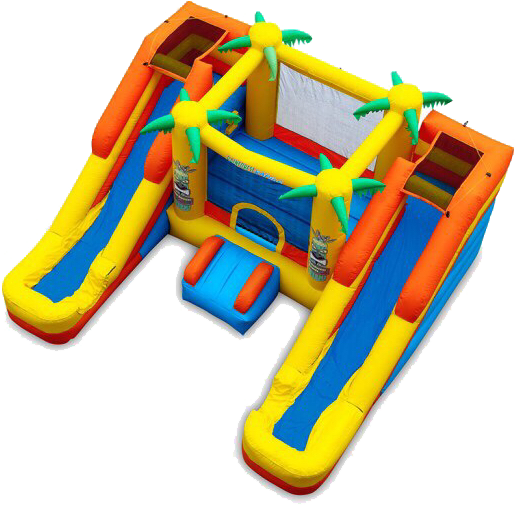 The center of this fabulous Zulu jumper has an 8’x8’ bouncing area. Let’s see who can jump the most and the highest! When you’re all done jumping and getting hot, it’s time to get wet!! 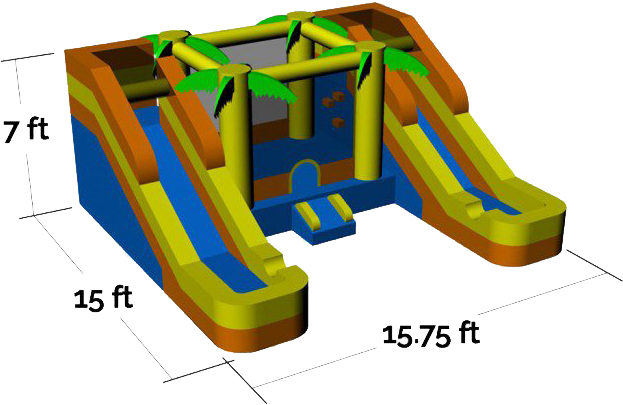 Climb the Zulu cliffs from inside the jumping area to one of the two giant slides to enter the Tiki Lagoon. If you think it’s just an ordinary slide you’ll be wrong. These fun slides have so much water spraying down on you it makes you feel like you’re sliding down the rapids of a very fast river to the lagoon below. There’s so much fun going on you’ll never want to leave.